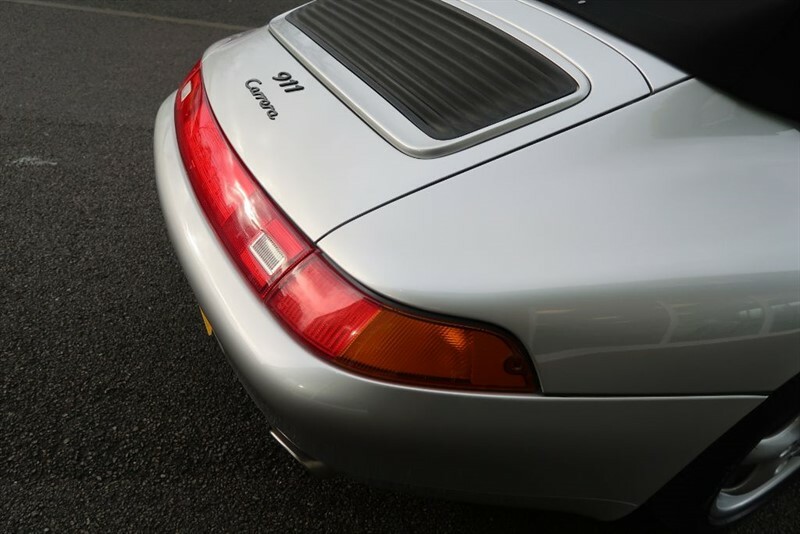 The Porsche 911 993 series of cars were sold from 1993 to 1998 and were the last of the air cooled cars and an enthusiasts favourite. 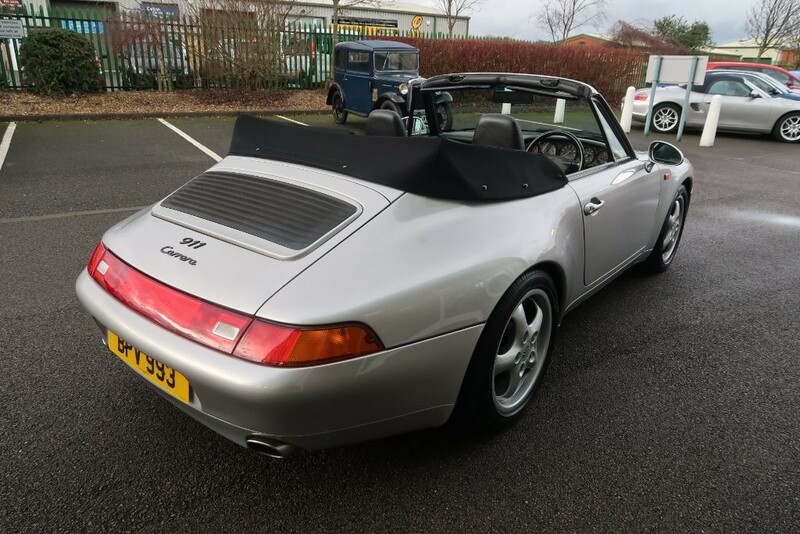 The last of the hand built Porsche and a thing of beauty, the car was offered in Coupe, Targa and Convertible bodies with 3.6 and 3.8 engines in both manual and Tiptronic transmissions, 4WD was also available. 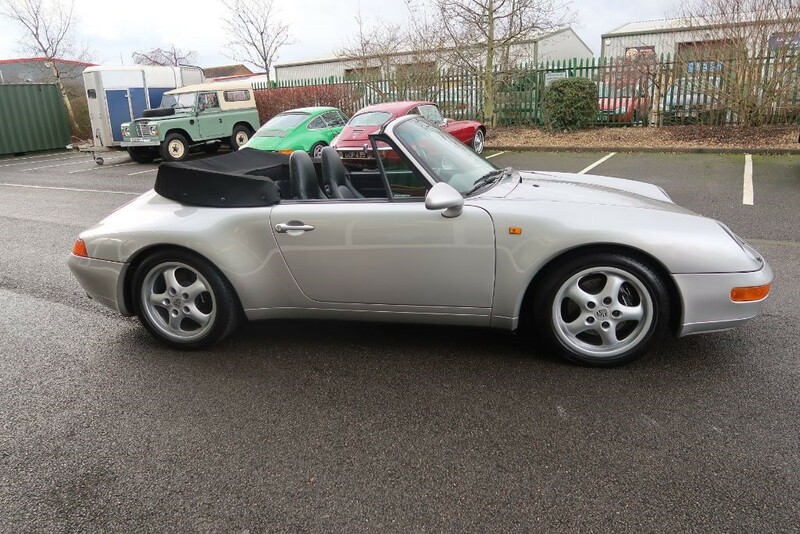 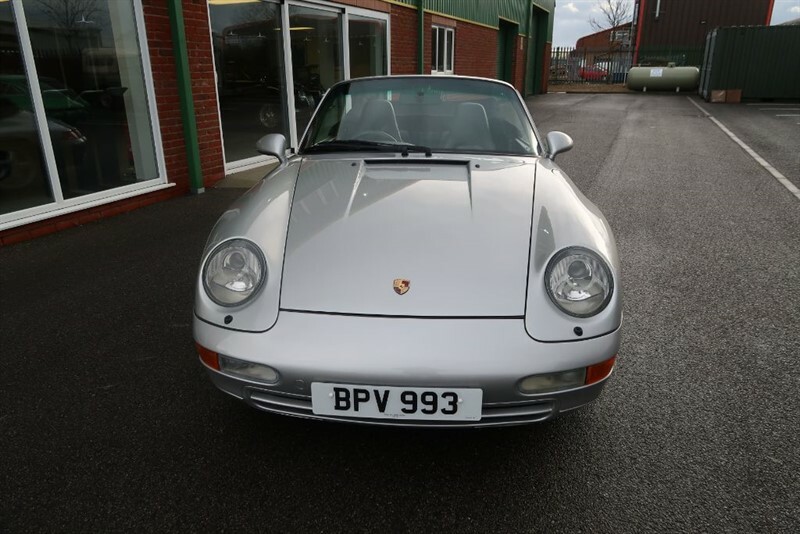 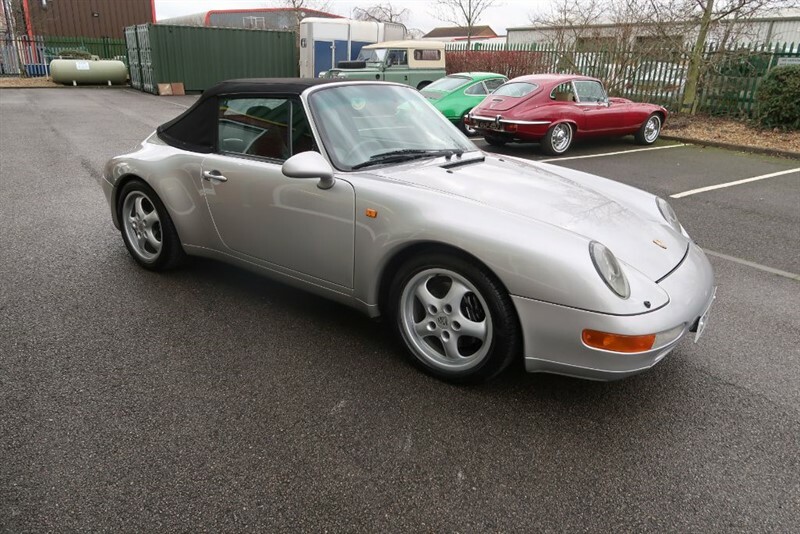 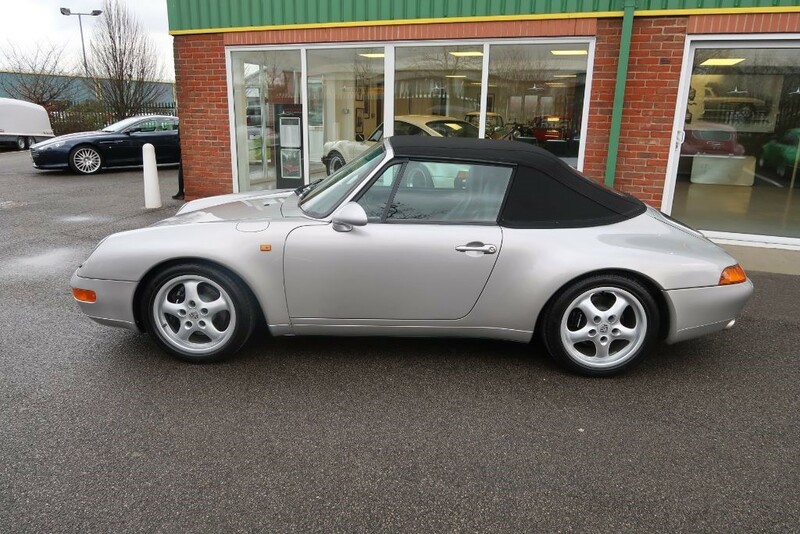 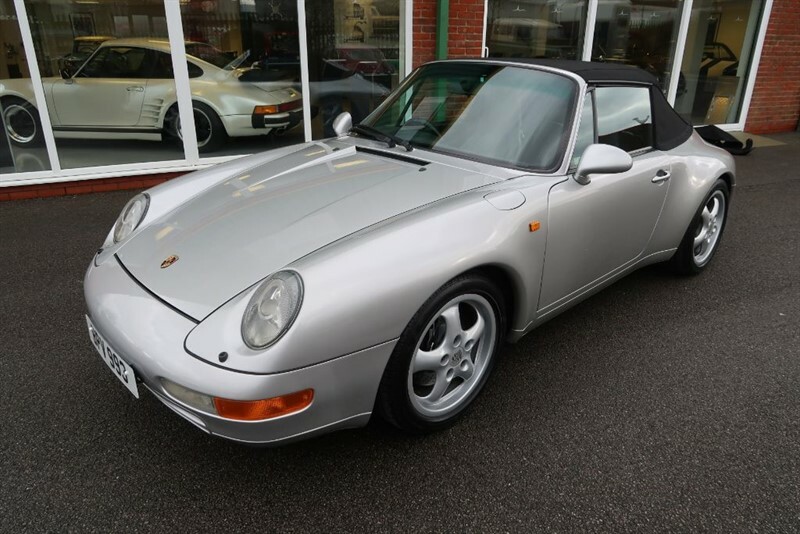 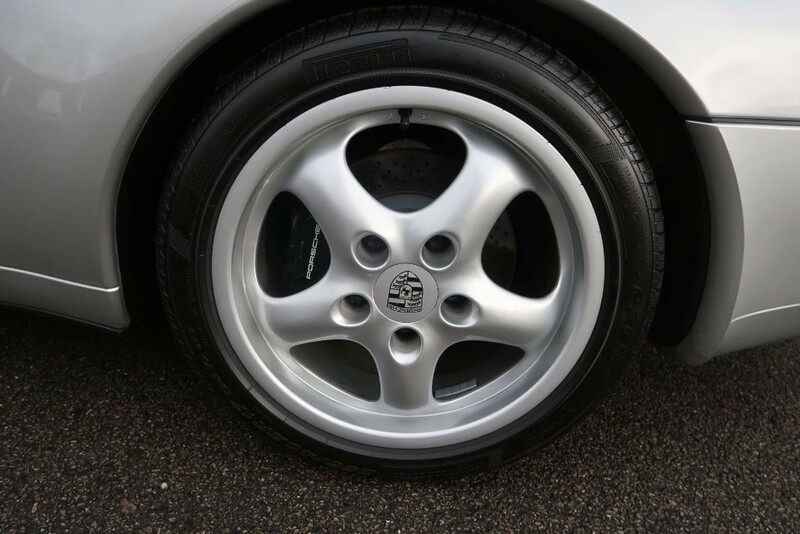 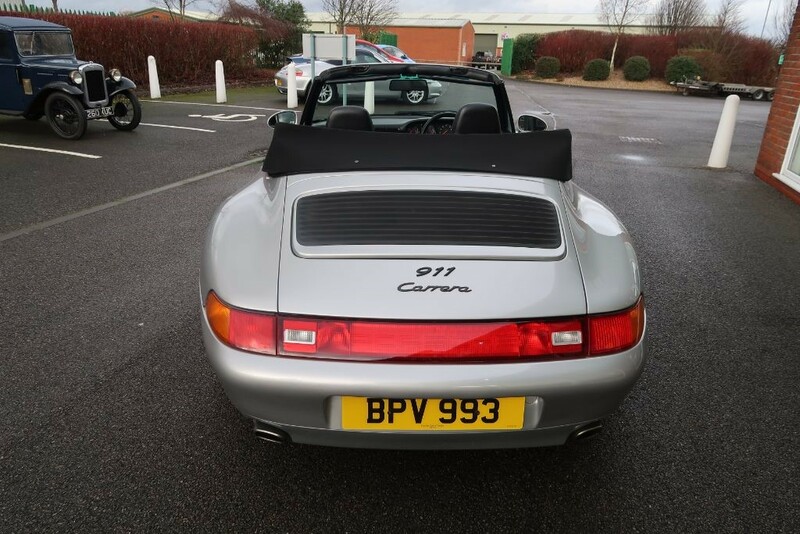 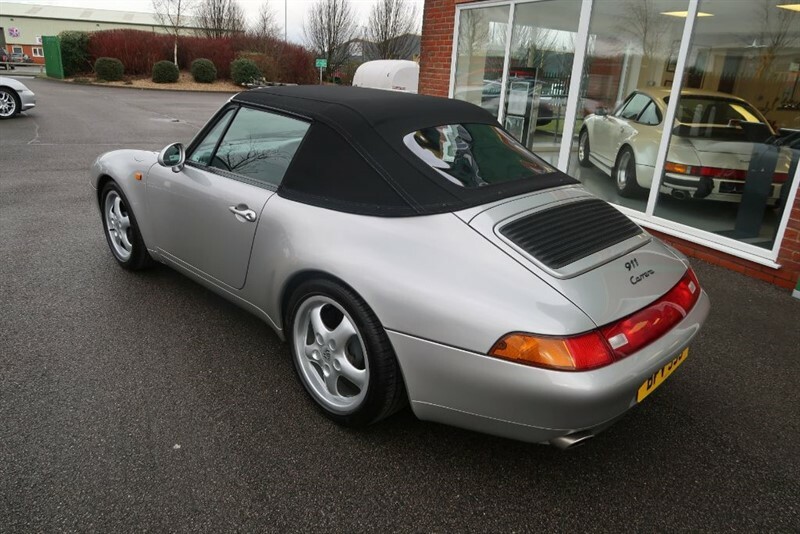 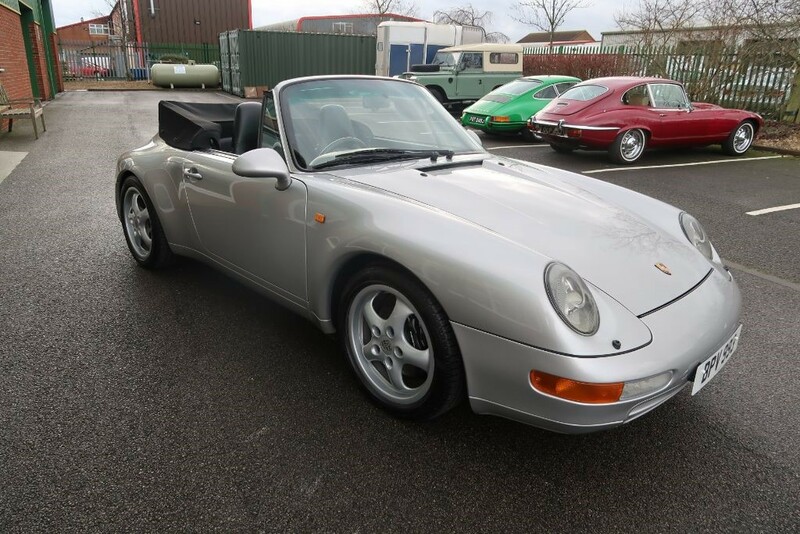 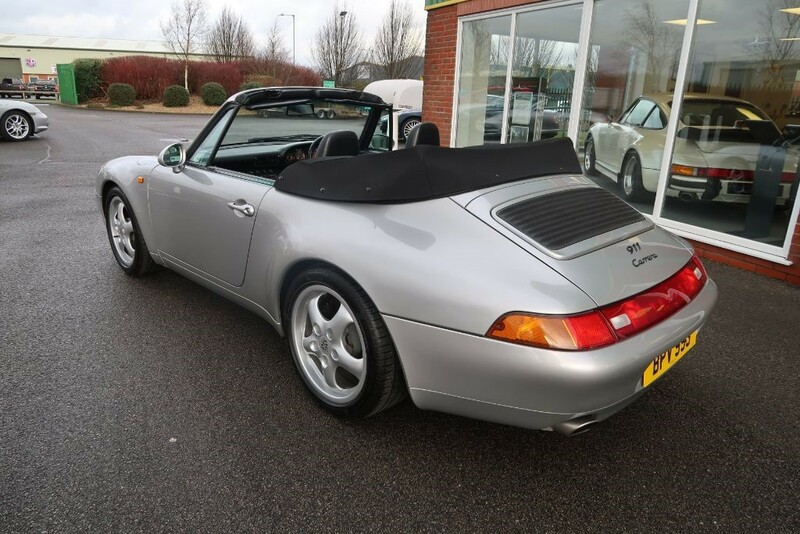 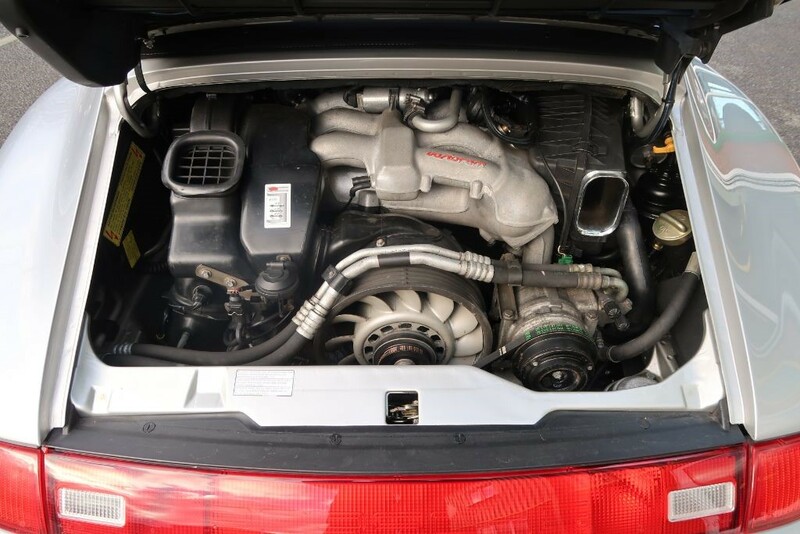 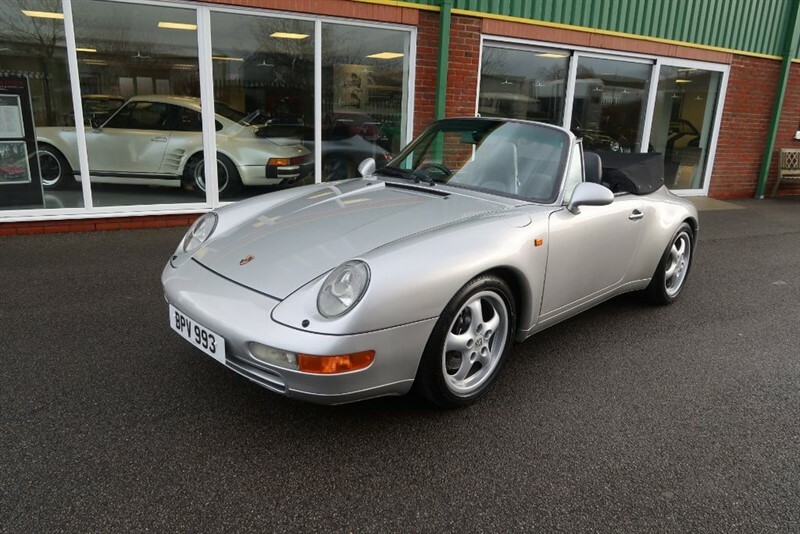 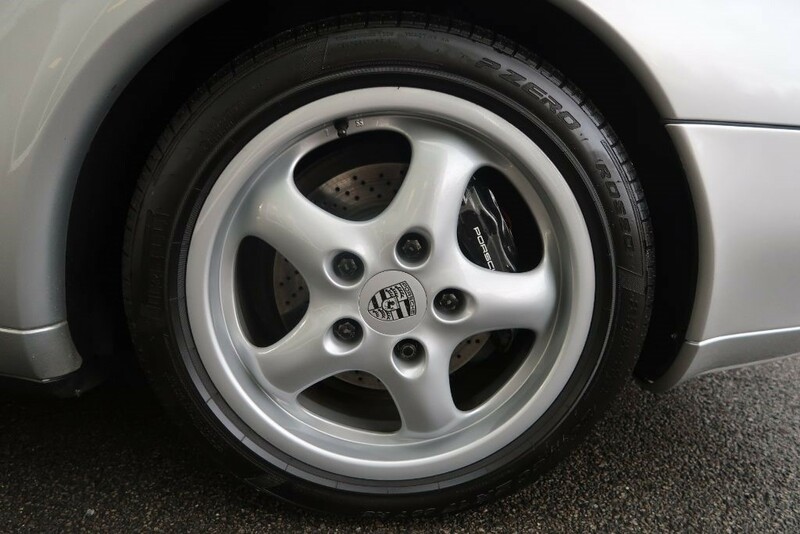 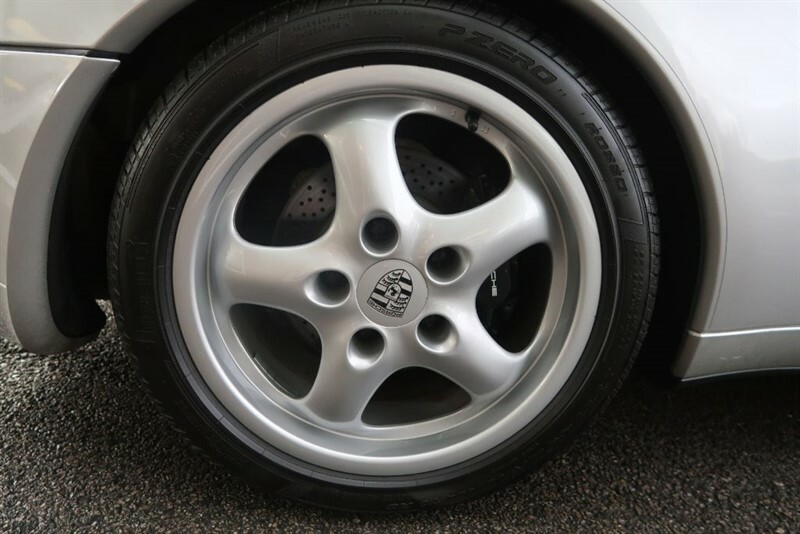 Our car, a 1997 model Carrera 2 Cabriolet is fitted with the later 3.6 Varioram engine and driven via the most popular 6 speed manual transmission. 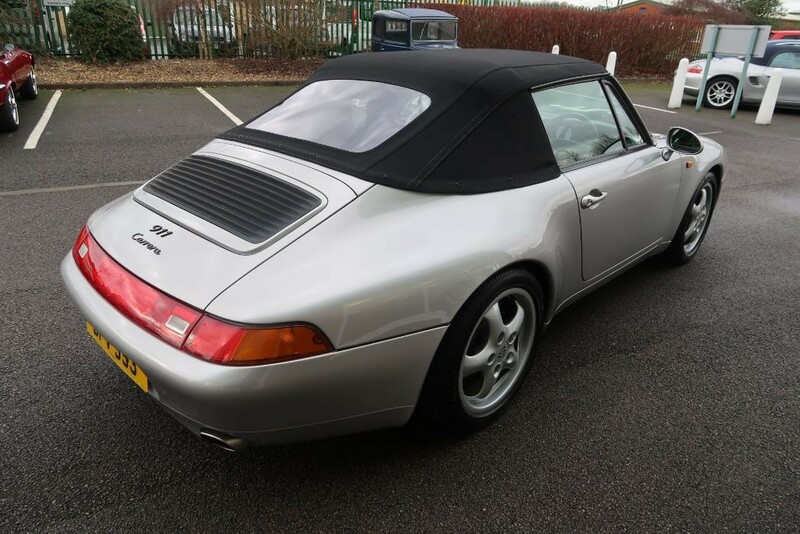 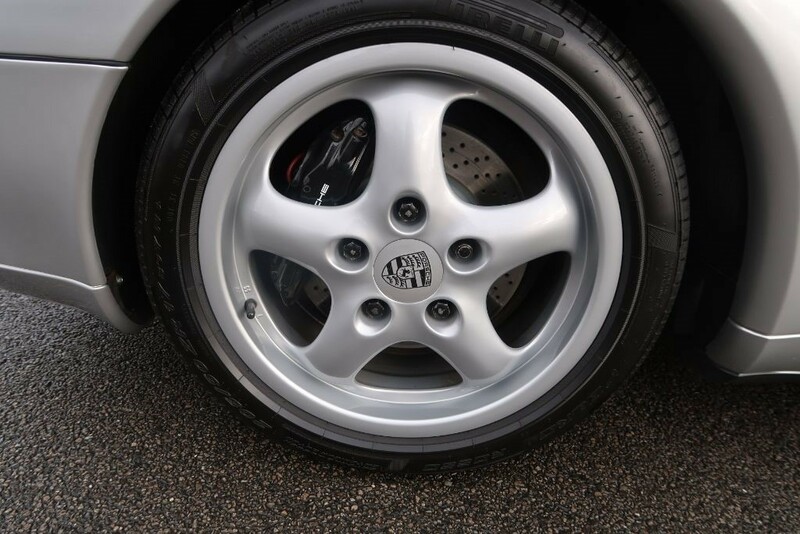 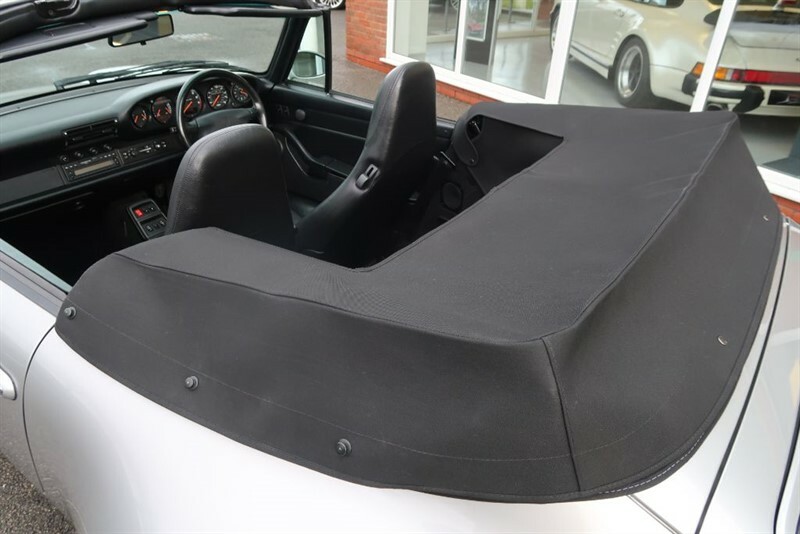 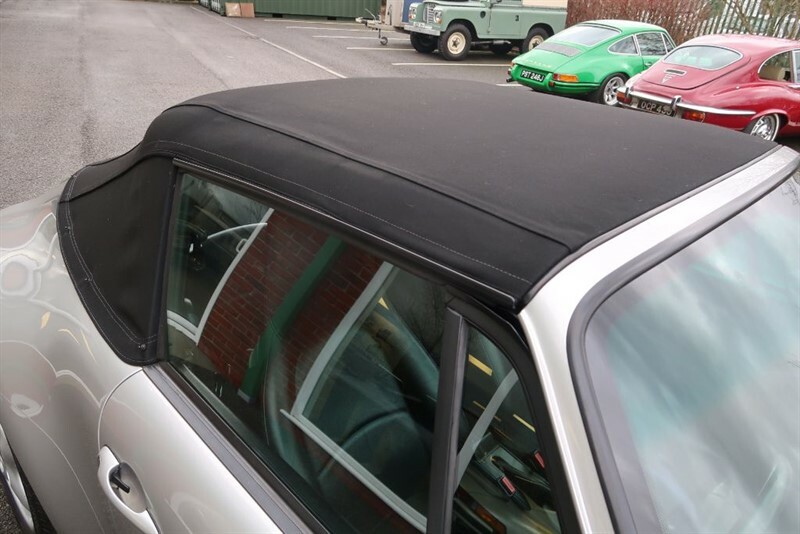 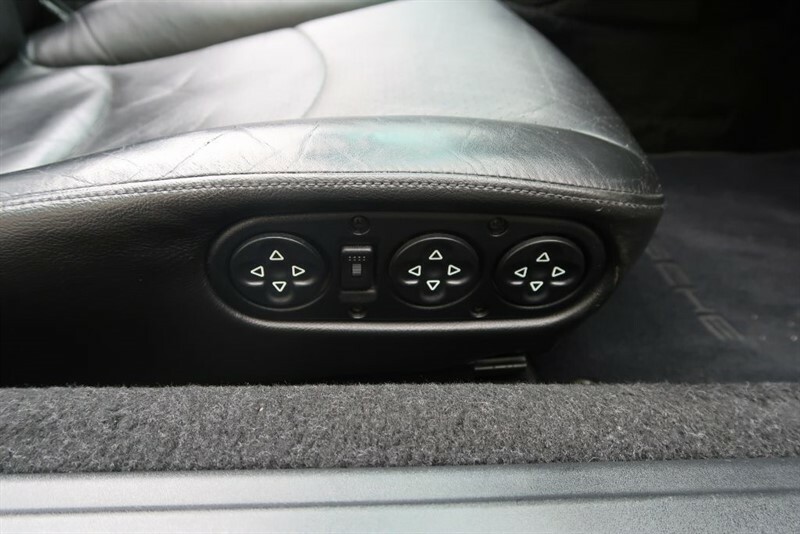 Finished in the classic combination of Arctic Silver with black leather trim, the car has covered just 68,000 miles from new and has had just 5 former keepers. 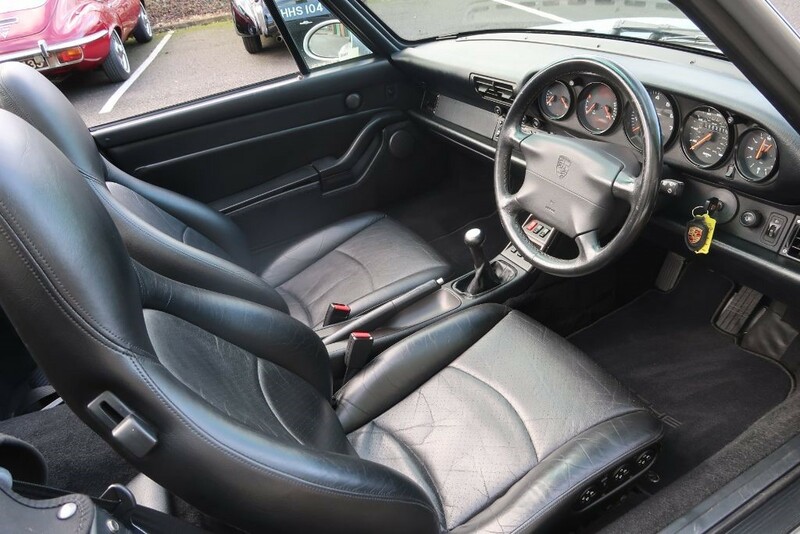 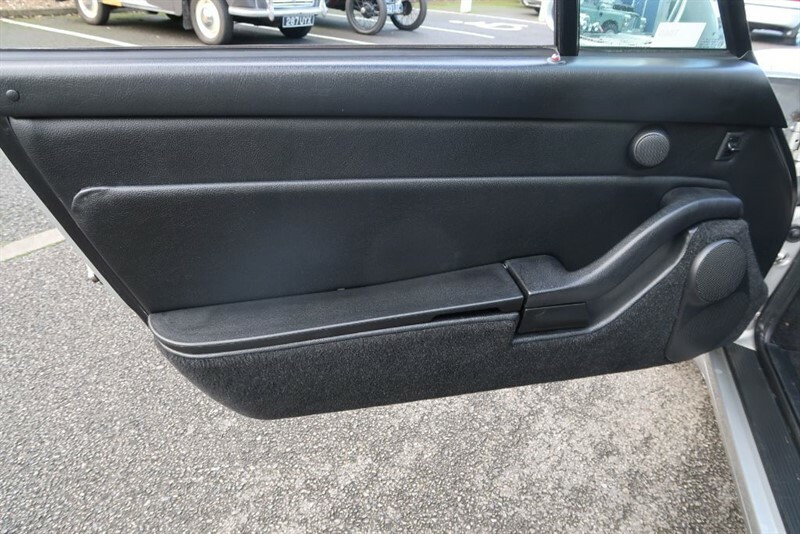 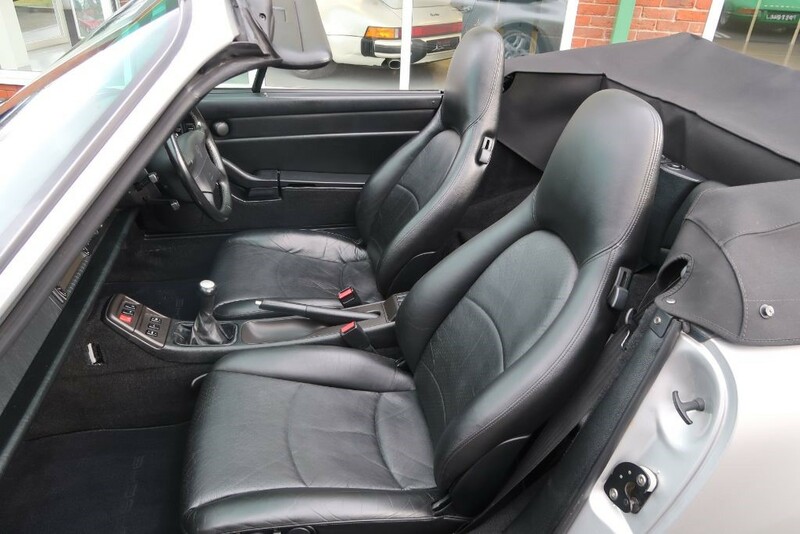 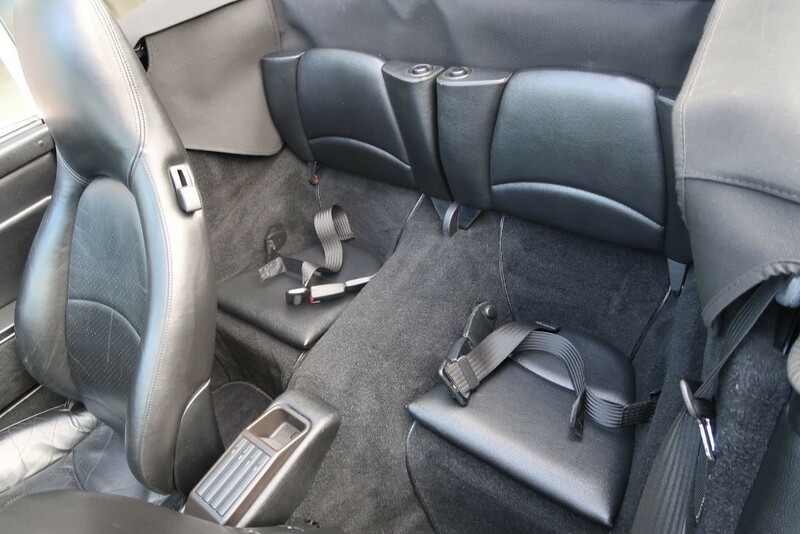 The black leather and carpets are in as lovely a condition as the external paintwork is and the car has the original ‘Cup’ alloy wheels fitted. 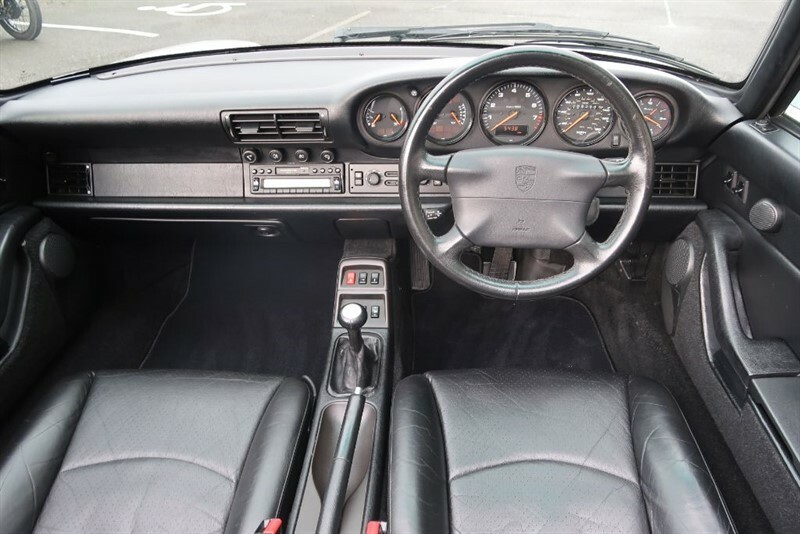 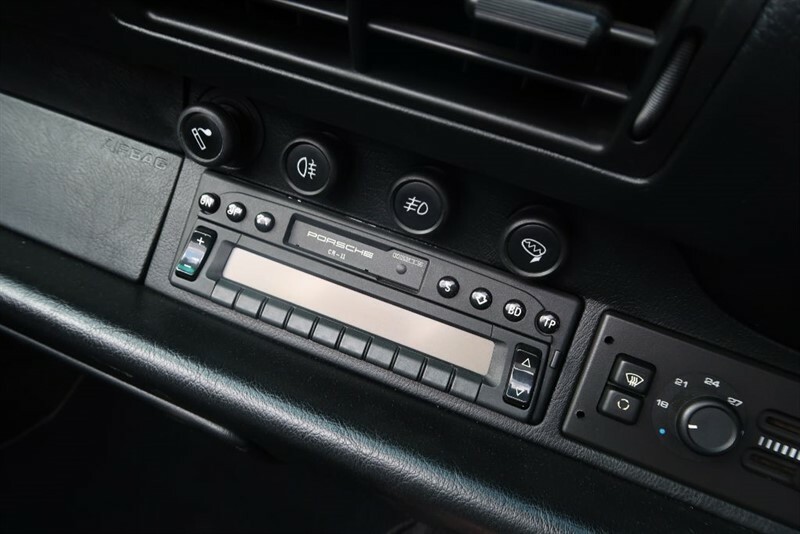 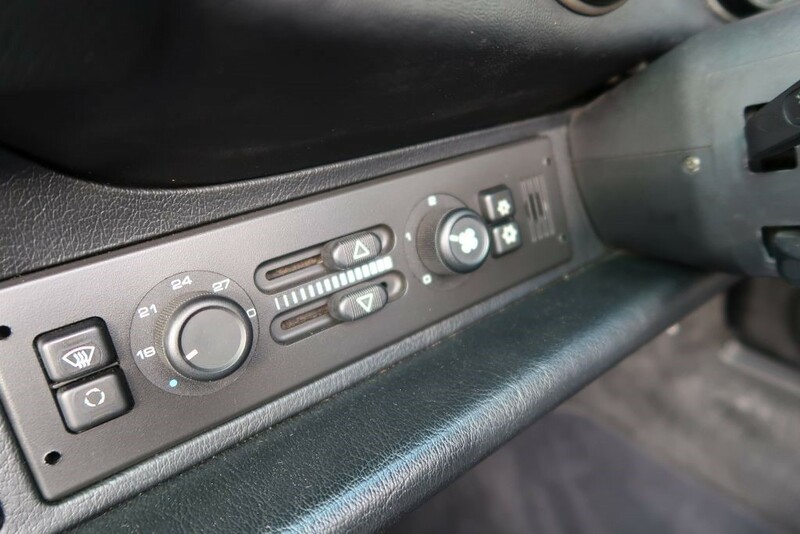 Internally, air conditioning, the original Porsche CR11 radio cassette, trip computer and a windbreak for comfortable top down touring are all nice features. 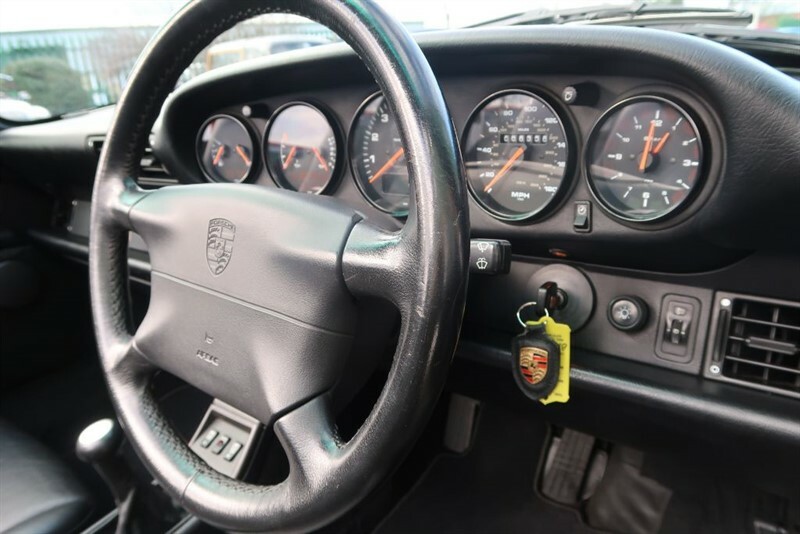 The car has a highly documented history file with the original book pack present and the service book shows 17 service stamps by Porsche main dealers and specialists. 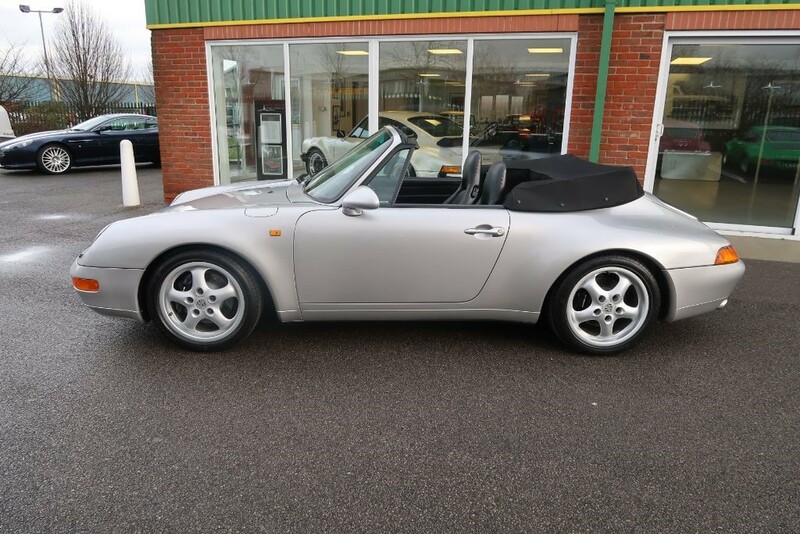 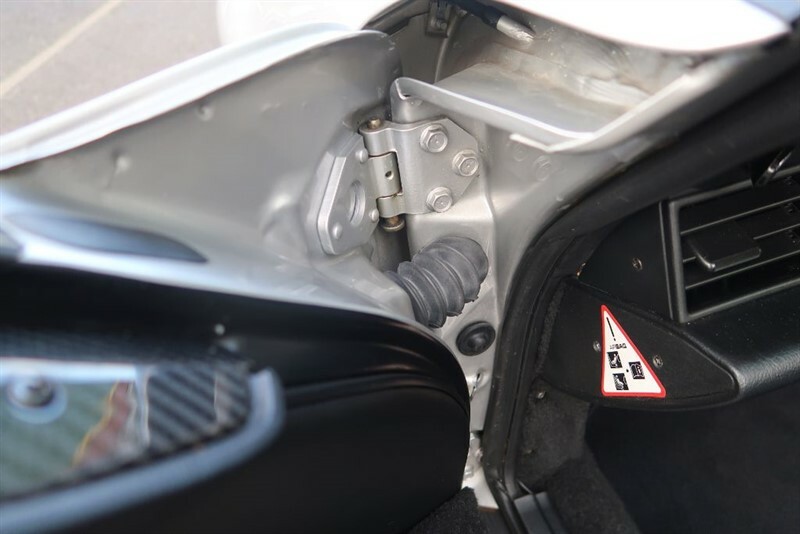 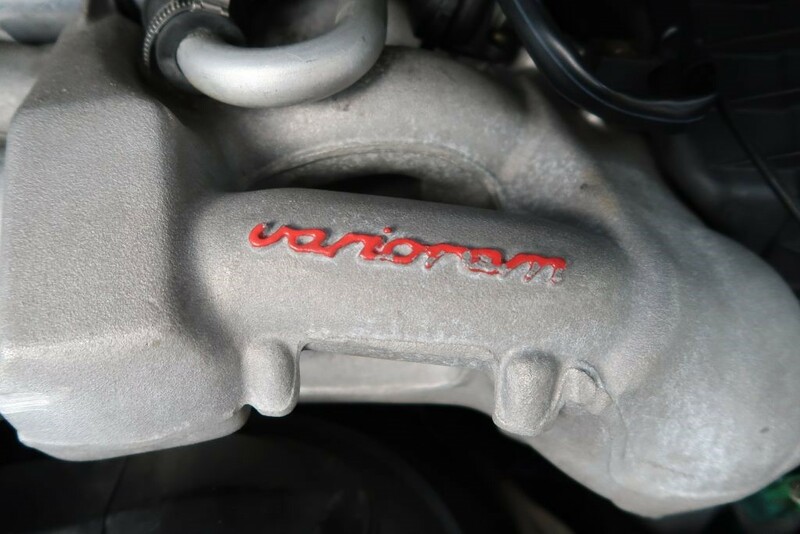 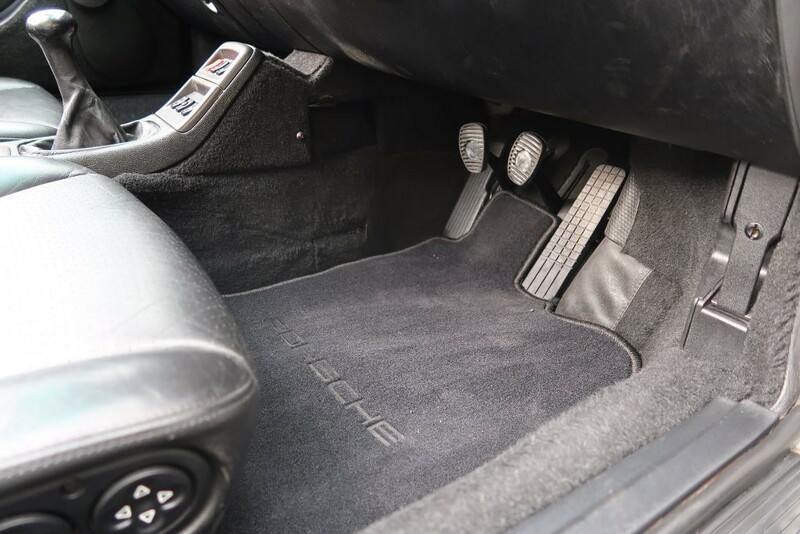 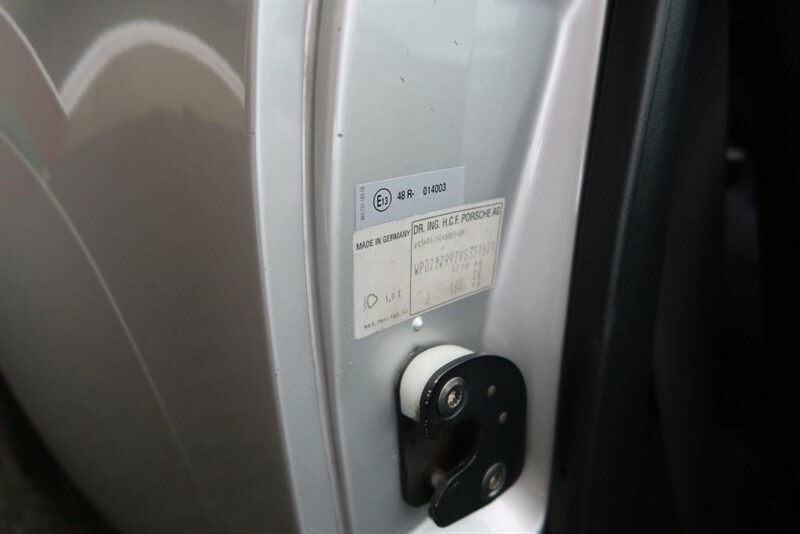 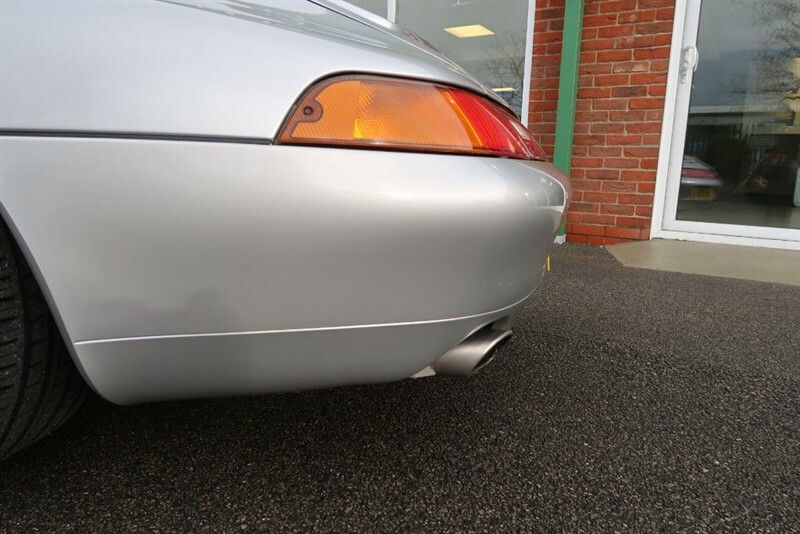 The latest service was carried out by Porsche Chester less than 400 miles ago and is accompanied with the invoice for £2,400 for this and additional work required. Within the history file are many invoices including one for a detailed engine rebuild less than 2,000 miles ago for almost £9,000. 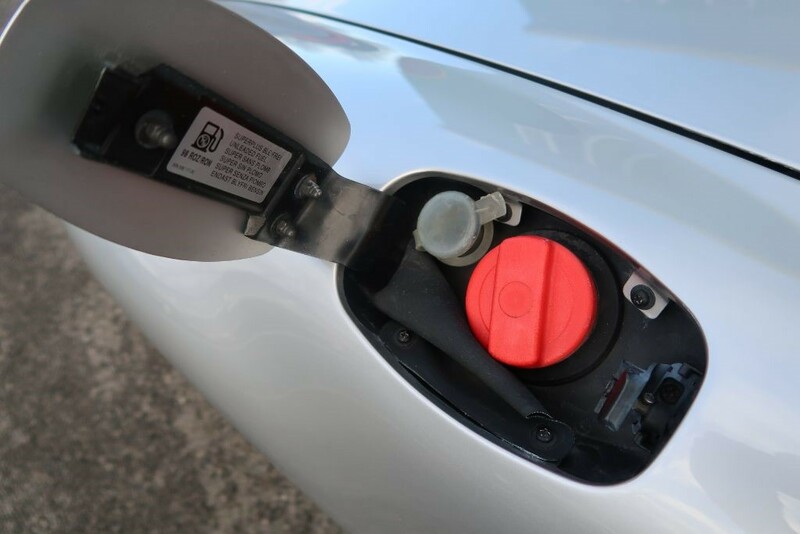 In summary, this is one to consider seriously. 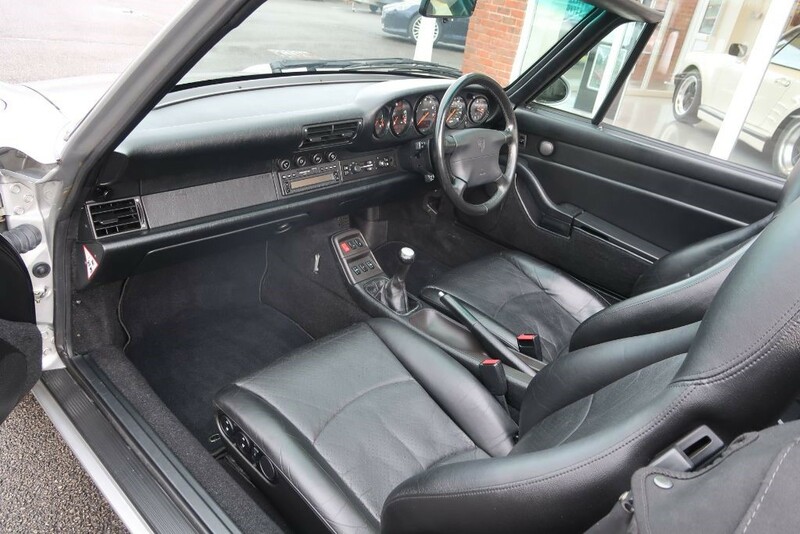 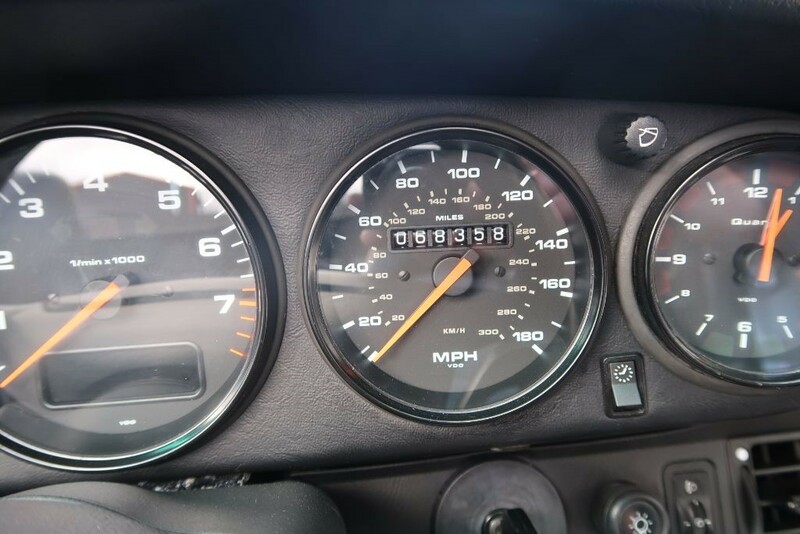 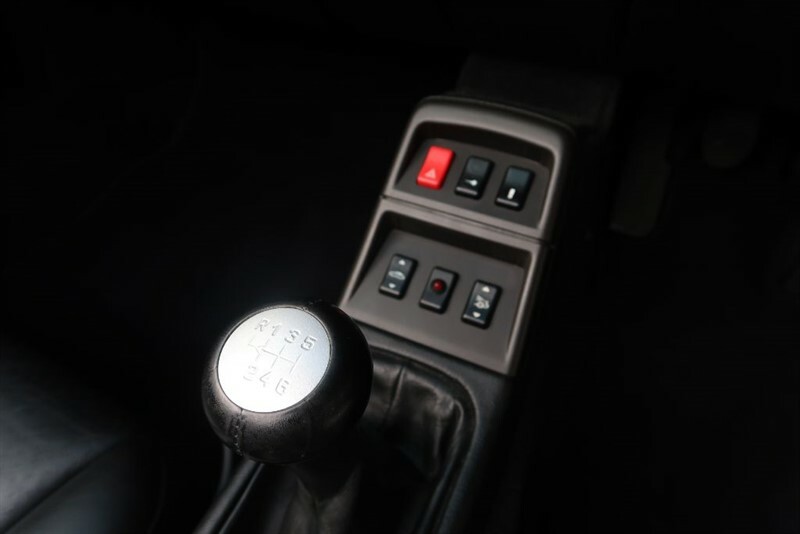 Late air cooled 911s with manual transmission are highly sought after. 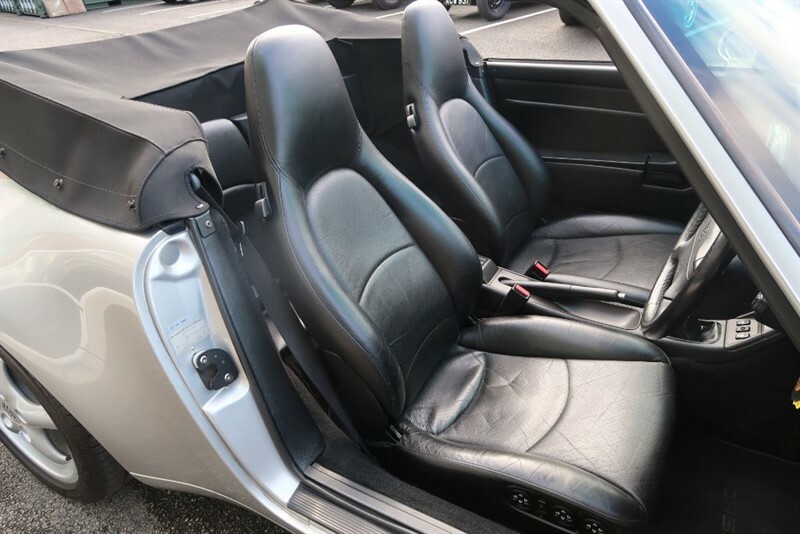 Add to this the low mileage of our car in such a beautiful standard condition you can’t go wrong, especially with the huge recent expenditure ensuring trouble free future enjoyment. 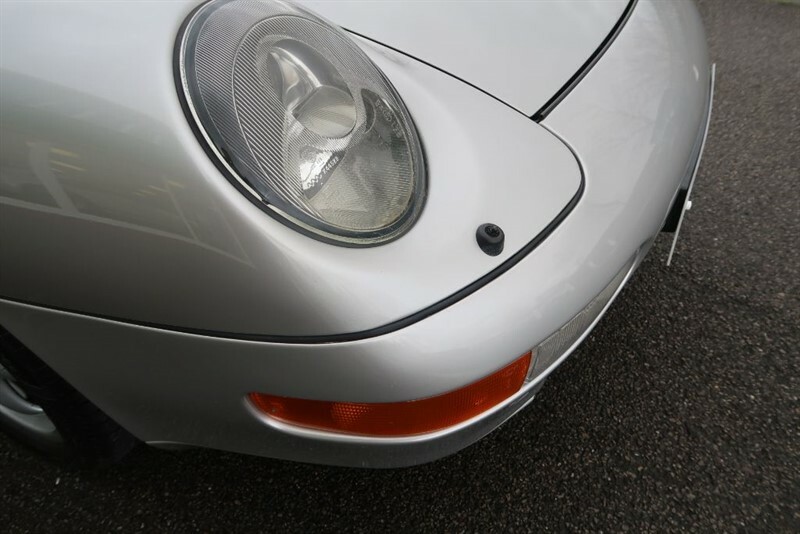 We will post a video of the car in the near future so be sure to look again! 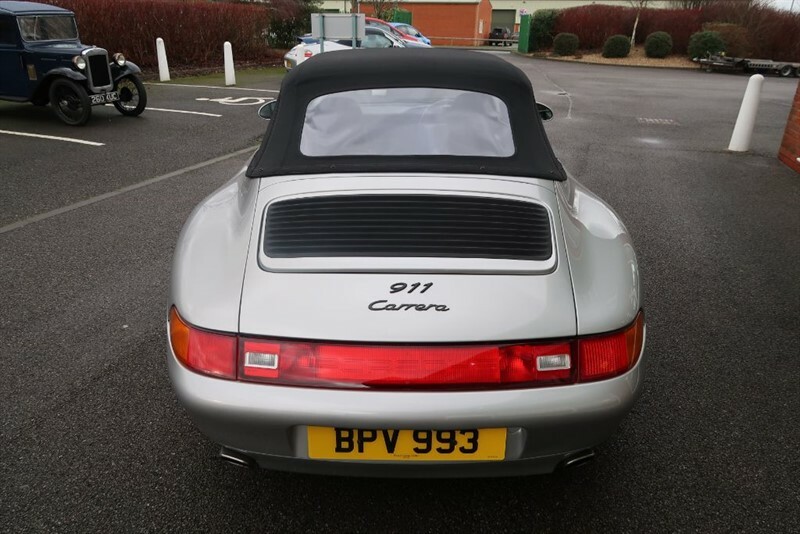 The cherished registration number is NOT with the car.